Many businesses are not utilizing online marketing in an effective way and this is hurting the growth of their business. There are hundreds of thousands of potential clients that perform web searches on a daily basis and if a business is not anywhere near the top of these searches, they are losing out. Online marketing is a little more difficult than just placing an ad in print in the local newspaper. Businesses will need to spend time placing all of their information on different websites in the beginning, but some of these sites will need little updating after that. The biggest marketing strategy is using social media. Social media is so much more than Facebook and Twitter. Nowadays, businesses can have accounts on Pinterest, Google+, Instagram, Tumblr, YouTube, Snap Chat as well as many other sites. Millions of people are on these social media sites every day and any business that keeps their account updated and active has a chance to be seen. Not every business will use all of the different social media sites, but chances are they will use most of them. Potential clients are always looking for information about businesses and this is an easy way for them to find the information. Social media sites can also be used as a communication tool between a business and the clients. A business should post questions and surveys in addition to updates so that a client will feel compelled to answer. The key is to keep the clients engaged in the product or service that the business is offering. Having giveaways every once in a while is another way to get clients engaged and they will also share the giveaway with their friends. If the clients are able to post reviews on a business’s social media page it will help potential clients make a decision about your company much quicker. New clients are more apt to listen to another client before they would listen to someone who works within the business. A personal connection with clients can also be reached on social media because clients always enjoy receiving personal responses from a business. Social media is also a way to get information shared quickly and efficiently. One post on a social media site has the potential to be shared millions of times. This will help any business grow at a rapid rate. Since the businesses are able to link their websites directly to their social media pages, this will allow all of these new people to go to their site quickly and learn more. As important as it is to keep social media sites updated, it is also important for businesses to provide current and continuous content updates. This content can be written in blog posts, newsletter in an email, articles that are posted on other websites, videos and podcasts. Each way that this information is shared will attract different groups of people. Many people are divided as to how they want to receive their information. Some prefer to read updates and others prefer to listen or watch the updates during a podcast. Blog posts are an easy way to deliver new and updated information to clients, as well as what they should know about the company and what is going on behind the scenes. Every business should have their blog posts scheduled for specific days and times every week. As long as clients know when to expect new blog posts, they will return to the website each time a new blog post is scheduled. Newsletters are another way to share information with clients and they can be scheduled as well. They can be sent by email and it is a great way to share giveaways, promotions, sales and coupons too. Many clients love to save money, so they will want to open the email to see what the business is offering. A good way to get the business name out to more people is to publish articles on other websites. A business should find websites who have viewers that would be interested in what the business has to offer. They should then contact the person who owns the website and see if they would like a guest blogger to write an article. Not many people turn down the opportunity of someone offering to write an article for free for their site. Each article that is posted on another website would have the business website linked to it and this is how some businesses get a few hundred new leads every month. Podcasts are becoming more popular because people are finding that it is easier to listen to something during their busy lives. They are able to listen while they are driving, exercising or doing work around the house. This allows them to multitask since they no longer have the time to sit down and read a blog or look at a website. Businesses can take advantage of this and produce audio or video podcasts. Each podcasts need to have important information and should be straightforward and concise. These are just a few of the ways that a business can strategically do some online marketing. There are many other ways and those can be explored once these more important ones are in place. 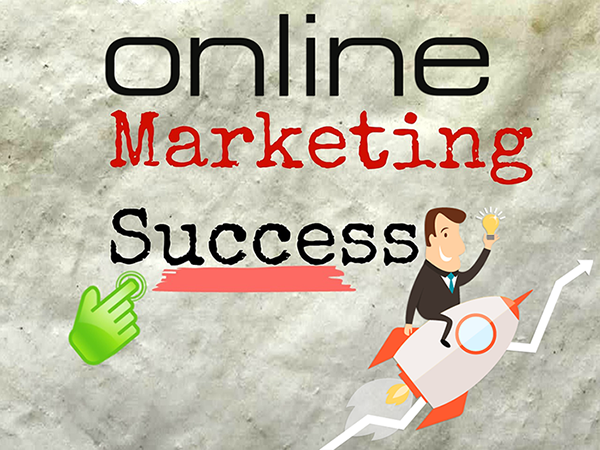 The key to online marketing is to perfect a few strategies at a time and then start the next step of the plan. For more information or help with online marketing, contact U-Thrive Marketing at (918) 812-9374.